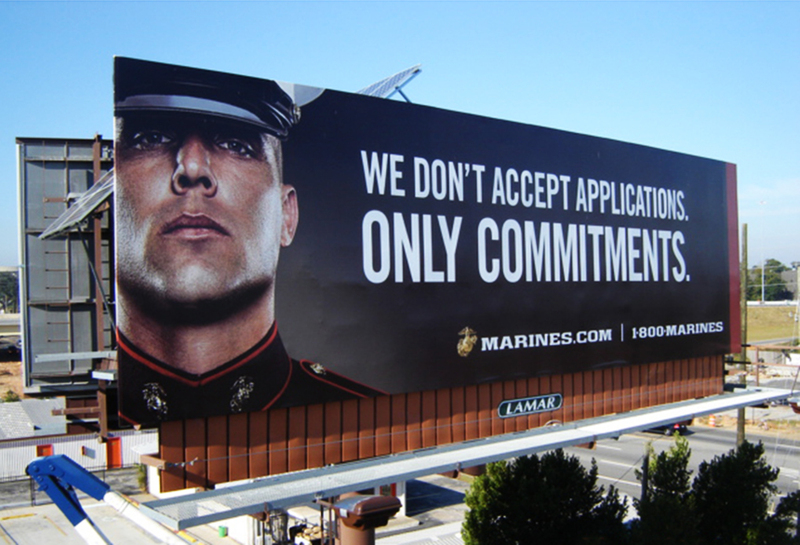 The Marines used a Lamar Bulletin Billboard for this startling creative. The slogan ‘We don’t except applications. Only commitments’ is eye catching and cannot be missed by drivers and passengers below.